Miss Ellie Tea House in Taman Melawati. 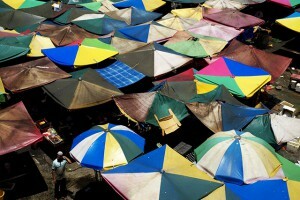 Photo: Ling Low. Taman Melawati is not your average residential suburb. 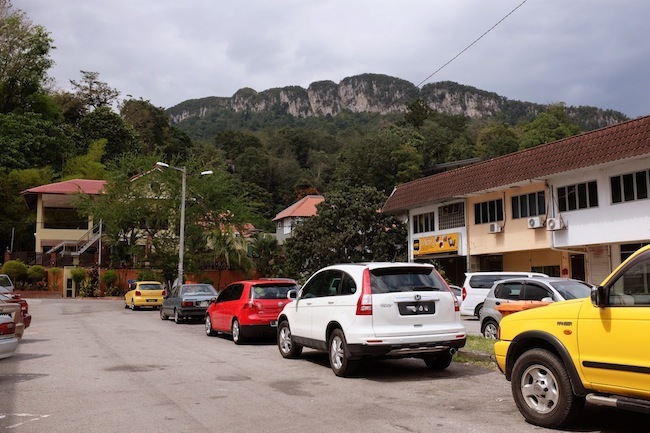 It’s a place that’s actually worthy of the word “taman”: backed up by hills, the small township nestles against the north eastern border of KL. If you look at Taman Melawati on Google Maps’ Satellite View, three sides of it are surrounded by nothing but green. 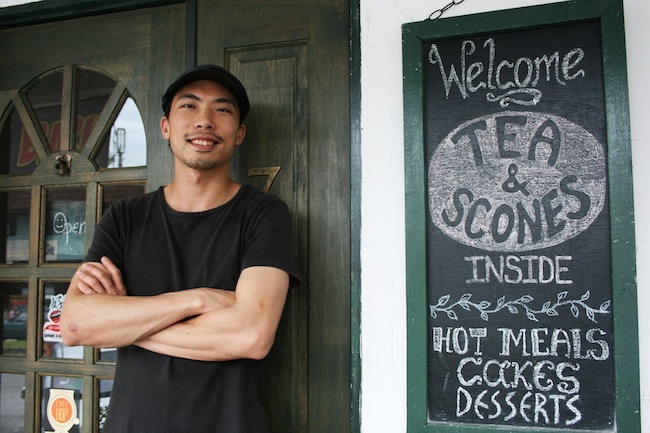 Justin Wong, chef and founder of Miss Ellie Tea House, was born in Taman Melawati and grew up there. He still thinks the area is unique and one of the best places to live. Yet even Justin never expected to open a business here – let alone an English Tea House. The world’s longest quart ridge behind Taman Melawati. Photo: Ling Low. When we arrive at the street address, it takes us a moment to spot the place. It turns out to be right next to a Kedai Dobi on a stretch of shops amid the quiet neighbourhood, fringed with wilderness. With its quaint sign and green door (complete with a poodle brass knocker) Miss Ellie looks startlingly out of place. Step inside, and you’re in for a bigger surprise. According to Justin, the design of the place is down to his mother (and Miss Ellie’s co-founder), Nancy. 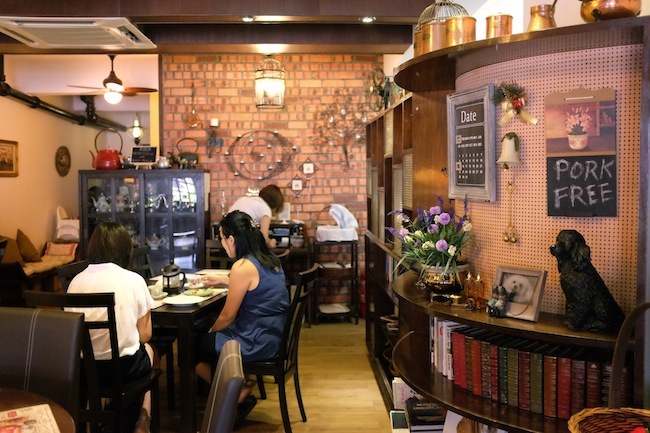 With nods Victoriana, it’s crammed with her collection of English ornaments and beautiful wooden furniture. Framed pictures of poodles abound: it turns out that Ellie is the family dog’s name. Along one side of the room, there’s a tempting array of cakes and quiche. But we’re here to try Justin’s signature dish: scones. Justin was a pastry chef working in Australia, before he returned to Malaysia. The scones, cakes and pastries here are made from scratch. There’s also a menu of hot food, mostly inspired by English classics. The scones do not disappoint: they are served warm, delectably crumbly on the outside but light and fluffy on the inside. There’s a small pot of homemade strawberry thyme jam and fresh whipped cream to slather on top. Of course, we have top it off with some tea: the selection here is from The Good Tea Company and arrives in different cheerful chinaware. 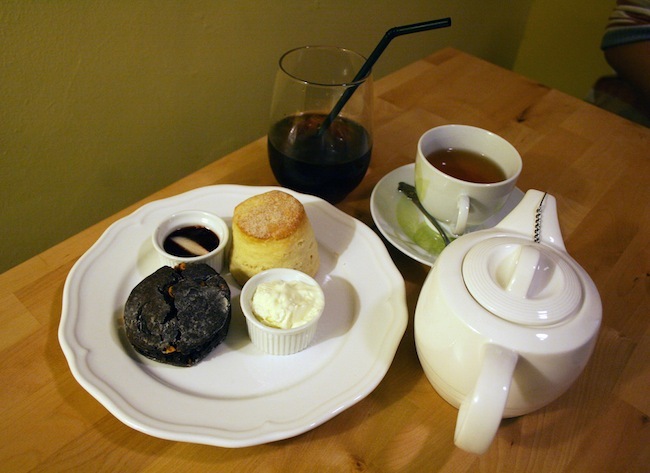 Chocolate and original plain scones. Photo: Lyn Ong. Justin went on to train as a chef, first in French Classic cuisine and then in the art of pastry, working in Australia for several years. When his father was diagnosed with cancer, Justin came back to Malaysia to be with his family. Of course, customers were surprised when they first opened. “Almost every person who lives in Melawati who came in has exclaimed in surprise,” says Justin. “But the response was very positive.” Now open for over a year, Miss Ellie has several regular customers, some of whom drive from far away to taste the famed scones. We follow our own scones with another popular dish: the chicken tikka pie. Justin invented the pie because he wanted something spicy but Western on the menu. He combined the traditional shepherd pie with the almost-as-English chicken tikka curry. As comfort food goes, it’s up there with the best. Pandan panna cotta at Miss Ellie Tea House. Photo: Lyn Ong. 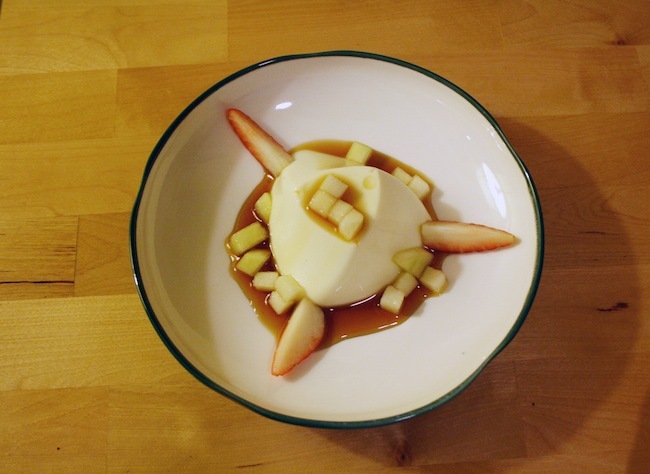 Finally, we try another signature dessert: the pandan panna cotta with gula melaka. This creamy creation is chilled to perfection, wobbling in its pool of gula melaka with just a hint of mellow pandan. Every mouthful melts on the tongue, without being too sweet. On a future visit, we vow to sample the smoked salmon, which Justin smokes by hand with tea leaves and cinnamon. Justin Wong of Miss Ellie Tea House. Photo: Lyn Ong. 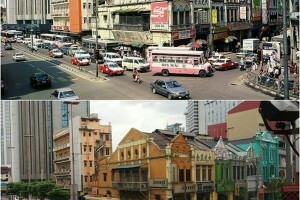 For now, Taman Melawati still feels like a sleepy town. There are a few rich neighbours with a penchant for building mansions here (a film director’s house clings to the side of a hill down the road) but the neighbourhood feels calm and unpretentious. It’s well connected to the city and several schools and universities, but hasn’t shaken its trunk road charm. Justin is optimistic that Miss Ellie will be able to maintain the feeling of being tucked away, even with developments. While it may initially seem like a strange idea to open a Tea House in this rural suburb, Miss Ellie fits perfectly with its surroundings. Nothing seems hurried here. There is no rumble or rattle of traffic. It’s the kind place where bread can rise slowly. 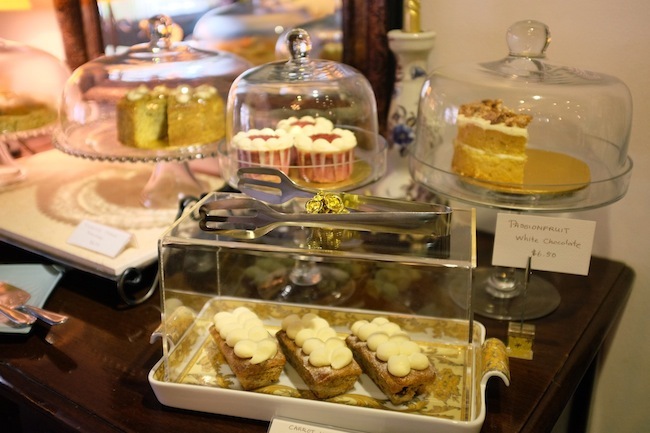 It’s the kind of place where you can get lost in time – over tea and scones. 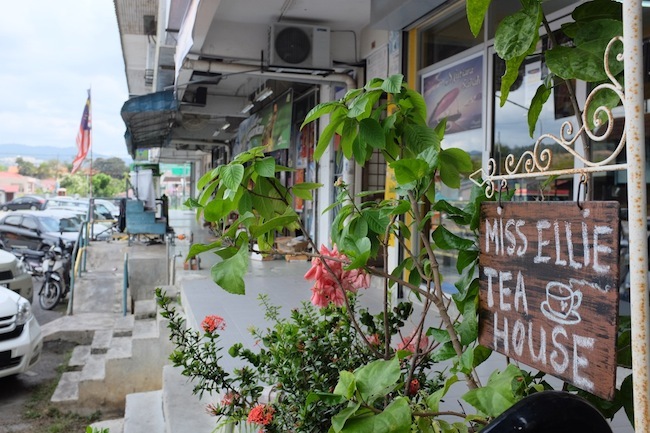 Miss Ellie Tea House, 7 Jalan H3, Taman Melawati, 53100 Kuala Lumpur (03 4162 0113).